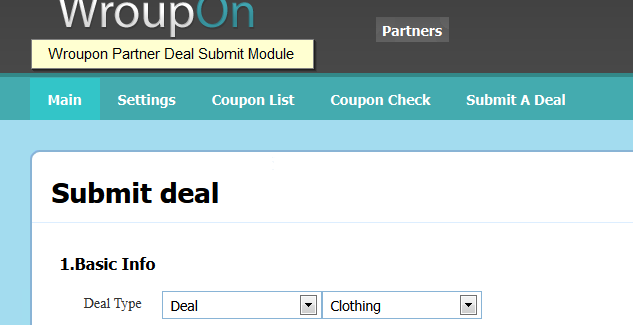 Groupon Clone Wroupon has just created Merchant Deal Submit Module(MDSM).In our previous features request .We were asked to have a feature where in wroupon Partners could submit a deal and Managers can approve it . That can be quite a time saving thing . Managers only have to Approve or make changes to it. ”] Good thing about this module is , Its going to come for Free with Every license of Wroupon V4 Series. Please contact us for MDSM Module.